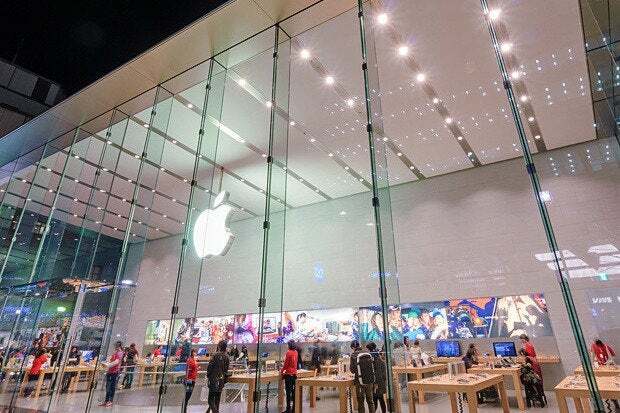 Apple is well known for being one of the world's leading design companies but their outsourcing strategy inadvertently created two of their biggest competitors and two of the world's largest technology companies. No other metric is more important to an organization than its profitability. Profitable companies can invest and acquire while unprofitable ones slowly sink into the abyss of Chapter 11. But while profitability is one of your organizations biggest motivators, the unchecked pursuit of it can eventually destroy shareholder value and create your next, fiercest competitor. This is what Apple (AAPL) and its shareholders found out to their peril when the stock plummeted from it’s high of $700 to a value of $566, wiping out over $150 Billion of shareholder value. Company executives are increasingly compelled to report profit in percentage terms so naturally they promote and reward the behaviors that increase margins. As such the pursuit of higher profit margins, rather than the pursuit of voluminous profits becomes the dominant behavior. Today we’re seeing several sectors of the western economy, such as manufacturing, assembly and engineering decline as many of the world’s largest first world organizations progressively outsource cost intensive segments of their businesses to the tiger economies and risk becoming nothing more than high margin, damaged marketing agencies who have outsourced everything but their brand. The two primary methodologies organizations, analysts and Wall Street use to measure profitability are the Internal Rate of Return (IRR) and Rate of Return on Net Assets (RONA), because by describing profitability as ratios it allows us to neutralize differences and compare the profitability between different industries. IRR inadvertently motivates organizations to focus on smaller, faster wins because if they use their money to fund programs that don’t pay off for years then the ratio is at best modest, meanwhile, RONA motivates organizations to reduce the number of assets they hold on their books. Consequently, organizations have a strong incentive to shed their cost intensive or lower margin operations so they can concentrate on business units that have higher margin returns. There are, of course, a number of ways that organizations can divest these operations in a way that boosts their overall average margins. Some organizations like IBM choose to dispose of their commodity business units while others like Apple, Amazon, Cisco, Sony, Nokia, Dell, HP and many more prefer to outsource specific operations, which allow them to tactically withdraw or transfer their own resources and sell the related assets. At first glance outsourcing looks like a win-win for both the organization and their shareholders and it’s hard to fault the approach. Disposing of the related assets improves the organizations cash reserves while the reduction in overheads lifts the organizations average margins and earnings per share. However, what very few organizations see – at least until it’s too late – are the downstream effects and how outsourcing can create their fiercest competitor and destroy long-term shareholder value. Once an organization has made the strategic decision to outsource their operations – irrespective of the industry, it’s incredibly difficult and costly bring them back in-house. The assets have been sold, the supply chains and skilled teams have been dissolved and the intellectual capital has long since been lost, and once an organization has embraced the outsourcing habit it’s one they’ll find hard to break. Consequently, what started as a simple way to eliminate costs and increase IRR and RONA suddenly becomes an easy to repeat addiction and as an organization outsources more and more of its operation with every turn of the handle they may be unwittingly equipping their next, most formidable competitor. Whether it’s HP’s x86 server ODM (Original Device Manufacturer), Quanta who now sits in second place in the worldwide IDC Server Market Share rankings ahead of Dell, or IBM’s ODM Lenovo who are now pounding their Systems and Technology Group in markets around the world, it’s inevitable that at some point outsourcers will examine how they can leverage their new insights, assets and skills to become a brand and competitor that reaps higher than average industry margins. Today there are a myriad of organizations who have outsourced segments of their business and inadvertently helped enhance their future rivals competitive capabilities. But despite this, it’s arguable that none of the competitors those organizations helped create come close to the two super powers that Apple has unwittingly created – I am, of course, talking about Samsung, and their sister company Samsung Electronics, and Foxconn who since its association with Apple began have increased revenues by 11,461 percent and 6,002 percent respectively. Many bystanders are more likely to view the emergence of these two giants onto the global stage as business evolution rather than revolution. While Samsung declared their competitive intentions in 2008, Foxconn has only recently reached the starting line of its long journey. In each case I will show you how both companies have combined renewed board ambition and the investments they made in equipment, processes and people to service their contractual agreements with Apple with the strengths of their core business models to fuel their meteoric rise to fame and fortune. To understand Samsung’s rise to dominance we have to go back to the turn of the new millennium when Apple released its first generation iPod in 2001, quickly followed by the iTunes store in 2002. Always publicized as the only alternative computing platform to the then dominant Wintel alliances of Microsoft, Dell, HP and IBM Apple always had an iconic – dare we say cult like following even if it didn’t have the revenues to match. Apple was the bullish underdog that kept nipping at the heels of the Wintel alliance, but one that rarely came up in any of their competitive planning sessions. Over the next 10 years Apple sold over 320 million iPods and as they introduced more products such as the iPhone in 2007 and the iPad in 2009, which at the time of publishing this article have both respectively sold 421 million and 170 million units their annual revenues grew from $5 billion to an eye watering $171 Billion. It’s this growth and the insights into Apple’s operations that helped Samsung and Foxconn craft their own spectacular rises to power. Almost from the start of its journey Steve Jobs and the executive board shaped Apple into an innovative design company and this is an important distinction to make. Design companies focus on creating beautifully designed, frictionless products and are commonly less interested in administering the cost intensive, low margin manufacturing and assembly operations that inevitably rely on facilities that have to be built, managed and supplied in order to create the final product. Consequently, Apple was determined to outsource both of these areas of operation from the outset. The lion’s share of manufacturing, many of Apples most bespoke and critical components, including the screens, Flash and DRAM memory and the fabrication of Apple’s bespoke logic processors for all of Apples flagship lines was outsourced to Samsung Electronics (SSNLF) and the responsibility for assembling the iPod, iPhone and iPad was outsourced to Apple’s long standing partner Foxconn. Why be the iconic customer’s manufacturer when you can be the icon? Why be the assembler when you can be the venture capitalist behind the next big technology wave? In each case both Samsung and Foxconn had the same ambitions – to push themselves up the Value Chain and become the Brand where they could realize higher margin returns and that’s precisely what they did. Over the course of their 10-year partnership with Apple both organizations had developed highly efficient global supply chains capable of supporting their new aspirations so it was simply a matter of filling the capability gaps in their value chain – namely ‘design’ and 'brand’ development. Their manufacturing and assembly plants, processes and employee skill sets had all been honed over time to make and assemble Apples products so it was inevitable that the products that they chose to produce and invest in themselves, namely smartphones and tablets, would eventually put them in direct competition with their largest customer. Samsung was the first company out of the blocks in 2009 and their new strategy put them firmly on a collision course with Apple. They spent billions, struck up a relationship with Google Android and worked hard to boost their design and innovation practices by investing heavily in new multidisciplinary satellite centers around the world. Ultimately, these created the Galaxy S3 and S4, the world’s best-selling smart phones and the world’s number two tablet, the Galaxy Note. Later, in 2013, Foxconn chose a less confrontational approach, preferring instead to create a venture capital backed hardware accelerator program that invests in and supports designers and innovators of interest, helping them refine their products ready for the mass market and, with Apple expected to release the iWatch it’s probably not by coincidence that the first product that they chose to invest in was a smartwatch. Given the rise of these two new co-petitors and their increasingly dramatic impact on Apple the organization had to make a number of tough choices, all of which were made even more complicated by the depth of relationship, integration and business insights between the triumvirate. Their choices included fighting Samsung for market share with all of the downstream implications that that would undoubtedly have on their revenues, margins and share price, alternatively they could work diligently to innovate new products for the mass market or they could choose to do both. Irrespective of the choice though everyone knew that they were on a collision course with two of their largest strategic partners. In late 2013, with their share price stalled for over a year at $550 and activist Carl Ichan pressing for the introduction of a $150 billion share buyback program Apple CEO Tim Cook implemented a raft of new initiatives designed to build new growth and reduce Apples dependency on their co-petitors. The first initiative to be announced was the introduction of the iPhone 5C, a scaled back, low cost iPhone assembled by Foxconn’s smaller competitor Pegatron and squarely positioned to compete with Samsung’s cheaper alternatives. Next came the decision to bring manufacturing of some of Apple’s smaller flagship lines such as the iBook back to the U.S. and then finally the announcement that in 2014 Apple was switching all of its $10 billion annual memory and processor orders to Samsung’s arch competitor TSMC. As for the future as Apple strives to create and dominate untapped mass markets it now looks certain that they will be introducing two highly hyped, revolutionary new products in the iTV and the iWatch. Outsourcing has clear cost and scale advantages and managed correctly it will let you refocus your organizations resources on areas that drive growth – however, as we can see from our example, outsourcing areas of your business that underpin your organizations key revenue generators – such as software development, manufacturing and product assembly can have dangerous long-term consequences. My advice is to think carefully about which areas of your operation to outsource and focus on outsourcing areas that have a low value to your organization as well as a low value to any future outsourcer who may, in years to come, decide to become your competition. If, however, you do outsource areas of your operation which they could leverage to compete with you, then you must work diligently to determine the long-term, downstream implications, build a comprehensive, time-sensitive risk register and adopt a multioutsourcer strategy. Matthew Griffin is an international speaker who advises CIOs and the boards of Fortune 250 and FTSE 100 organizations on the impact that emerging technologies and market trends will have on their businesses. He helps them develop best-of-breed offensive and defensive organizational strategies that help them disrupt and avoid being disrupted.